Ayush Homam is performed to improve one health. This function is done for Ayush Shuktha and chanting Ayur devata . For any adult or a child suffering from any illness or physical stress or any child with a Balarishta Yoga in their birth chart this homam can be performed as a powerful Remedy to restore their health and remove their bad yogas. 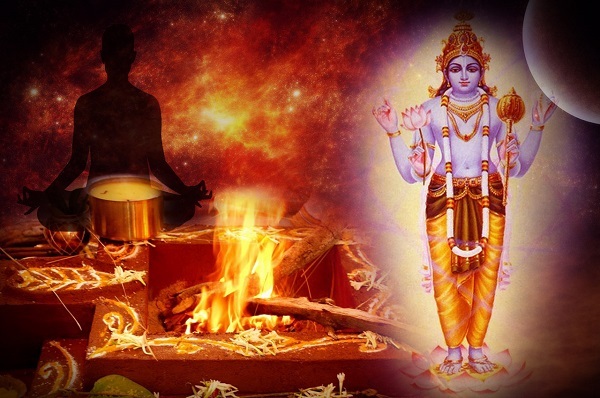 When should I perform Ayush Homam? Ayush Homam must be performed on the day when the jenma nakshatra of the person who is performing the homam arrives. First Year Birthday, during ear piercing and if the Child is sick anytime. Can be done at any age and it is especially done during each Decade year etc or even at any younger ages to bestow them with good health. Book Vadhyar Online for Ayush Homam. All the materials required for function will be brought by priest. All the priest are well experienced and studied from Vedic Pathshala.